Long-established ramen shop is open only short time. 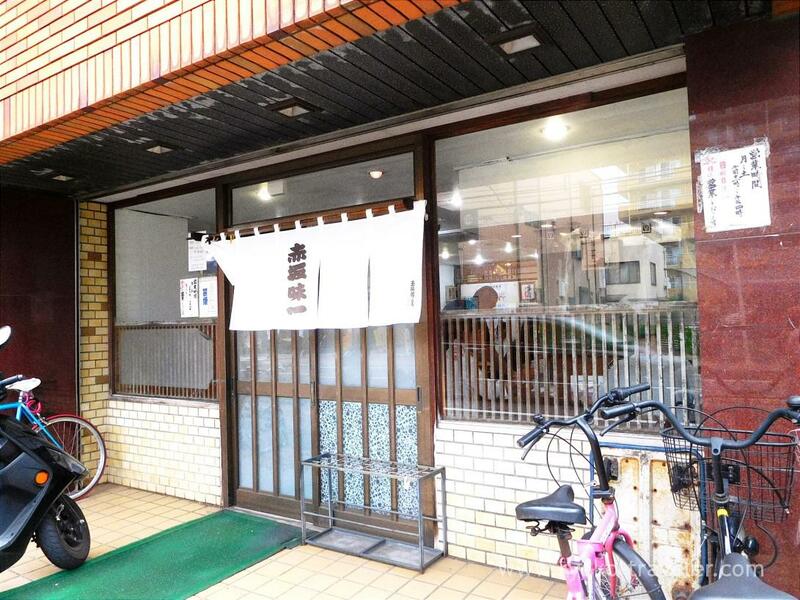 One of popular ramen shop, Asyura that is famous as sesami ramen is near the shop. There is only three on the menus. Their business hours is just from 11 a.m. to 4 p.m. I can go only Saturdays if I want to go there. But I usually want to eat ramen on Sundays somehow. Though it is one of my favorite shop, this is quite difficult to go. We went to there over 3 p.m. on Saturday. There were still lots of guests in the shop. I ordered a Chuka soba (中華ソバ, 600 yen). We can order large portion, but there is no need. Normal size Chinese noodles is enough large for most people ! Recently I rarely find the shop that serves ramen only 500 yen. Even if there is, their tastes are not good. 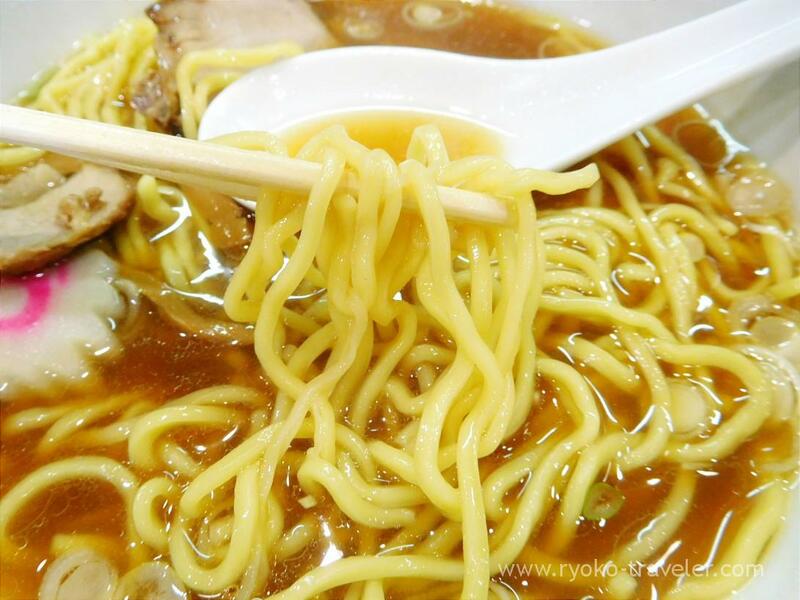 But this shop’s ramen is not only those valuable prices, its soup is sooooo tasty. It has lots of taste of dried sardines in it. Strong soy sauce flavor and taste of the dried sardines are excellent. But I’m not quite satisfied…. That is,,,, I want a boiled egg on the ramen ! But there is no boiled eggs on the menus. PLEASE. I want to soak my boiled egg (and I want half-boiled egg) into the tasty soup ! A branch of Akasaka Ajiichi has recently been open in Kameido of Tokyo.